Have a lady who loves animals in your life? If you are looking for cool stuff to buy for the woman in your life, take a look at all the fun, cool, cute, unique, funny and useful stuff that our team of writers has found for you. These are the perfect gift ideas for moms, mothers-in-laws, aunts, sisters, daughters and grandmothers. No matter what your drink of choice is, coffee, tea, or even water, it is a great time to take a moment to think and dream. 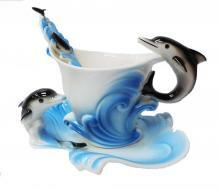 With this awesome China Dolphins Cup and Saucer you can spend that time in the drink with these lovable ocean mammals. Peacocks were historically used as living lawn ornaments. These days they are supposed to make great watch animals. Of course most people just like them for their amazingly ostentatious tail feather display. With the awesome Plush Peacock you can have the fun without the mess. Funny t-shirts are great. And, strangely enough, dogs believe in truth in advertising. The two concepts have been brought together in one hilarious I Sniff Big Butts Ladies T-Shirt. 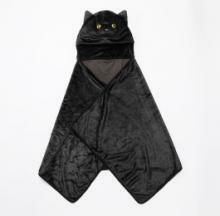 A cat-tastic promotion from Japan's Yamato Transport delivery service will reward 500 lucky users with a fluffy black blanket capped with a faux cat's face. Slippers are a relatively common gift to give someone for Christmas or winter birthdays. Common is the operative word here. 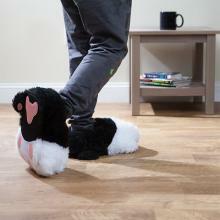 Switch up to more uncommon and really fun slippers with Twitchy Kitty Cat Paw Slippers with Sound. When it comes to Christmas decorating you want to do it with cats -- you know you do. And you really have a thing for ugly Christmas sweaters. 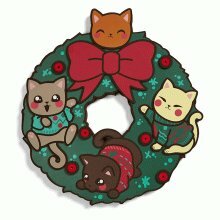 Bring them both together this holiday season with a Cats in Ugly Sweaters Wreath. A new year is nearly here and we all want to be saving up a bit of money. 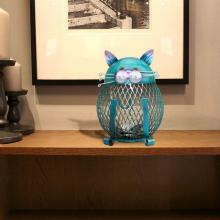 One of these awesome Mesh Cat Coin Banks is just the thing to get you or your kids started. If you love pizza then you have a lot in common with four famous turtles.These young reptiles are out to save the world while eating as much pizza as possible. 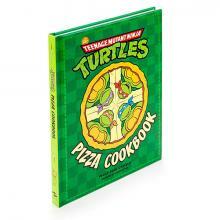 Find out more about their diet and how to make their favorite pizzas with Teenage Mutant Ninja Turtles: The Official Pizza Cookbook.